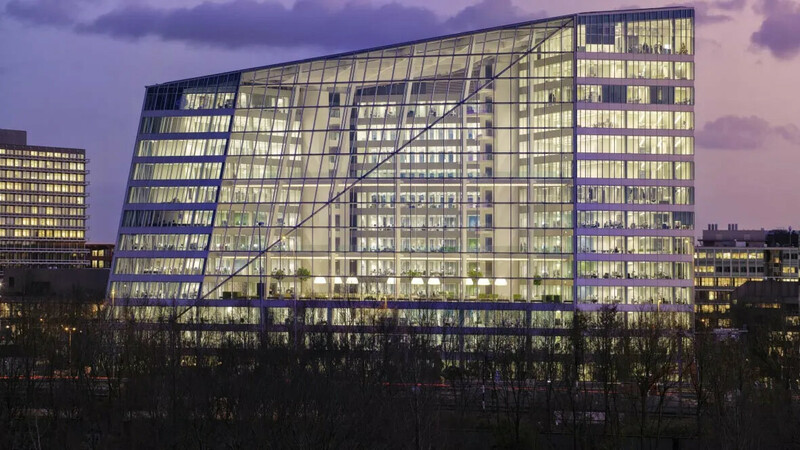 Situated in Amsterdam, The Edge is considered to be one of the most innovative and sustainable office buildings in the world and was awarded an "Outstanding" rating with the highest ever BREEAM score of 98.36 percent. 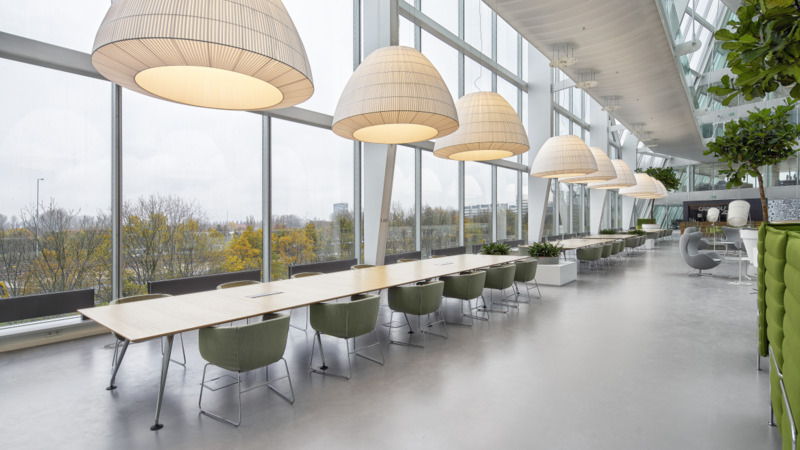 Showcasing an array of digital and sustainable innovations, many of which are "world firsts", the occupants include companies such as Deloitte. 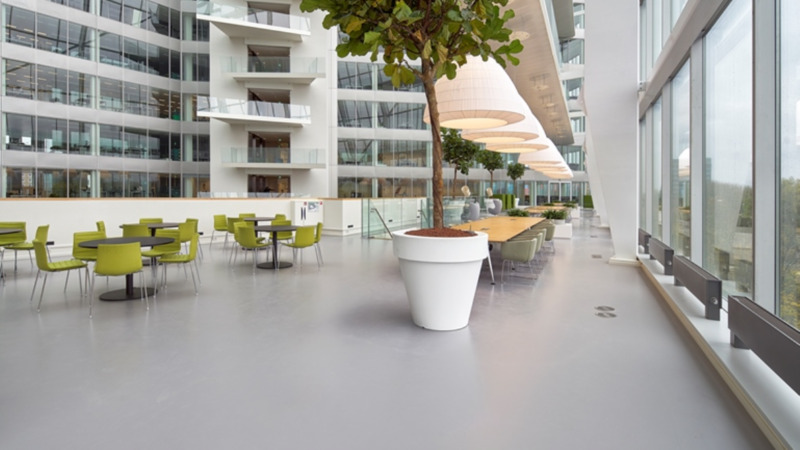 When it came to finding a suitable floor covering for such an exemplary project, the natural choice was Forbo's Marmoleum Solid Cement, made from 97% natural raw materials, 72% of which are rapidly renewable, and which has a recycled content of 43%.